After winning the EA SPORTS Cup on Sunday, City were immediately called back into action on Wednesday night to contest a quarter-final of the Irish Daily Mail FAI Cup against in-form Bohemians. 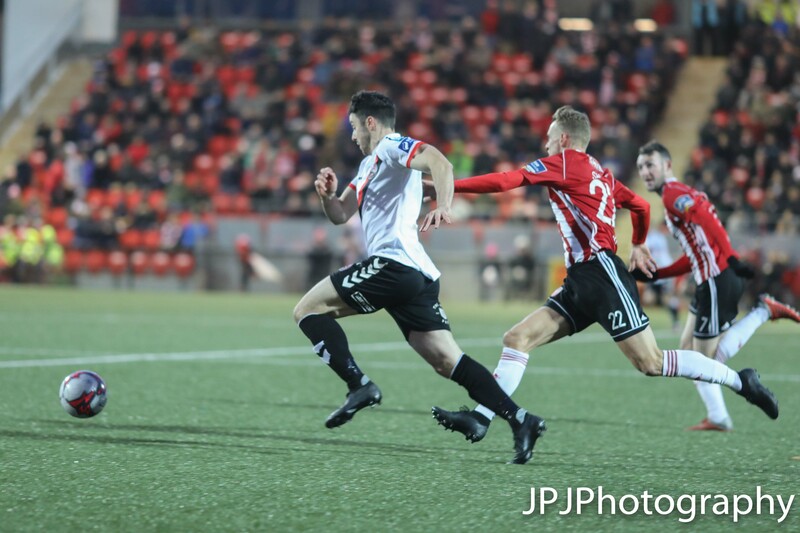 On a stormy day across the island, the match proved too much, too soon for the Candystripes as Bohemians took the lead from a corner just before half-time after Dan Casey’s header. Corcoran doubled Bohs’ lead on the hour mark, finishing off a slick counter-attack and it looked to have ignited Derry into a comeback as Ally Roy fired home from Jamie McDonagh’s ball. It was to be Roy’s last action though as he was immediately subbed along with Ben Fisk and replaced with Nicky Low and Aidy Delap. Bohs had plenty of opportunities to finish the game off but had failed to convert any and they would’ve felt hard done by if Delap had have put away his close range effort instead of it ending up in Supple’s hands. That spurred Bohs into another counter-attack and Corcoran was there again to finish the rebound which sent Bohemians into the semi-finals and knocked Derry out.